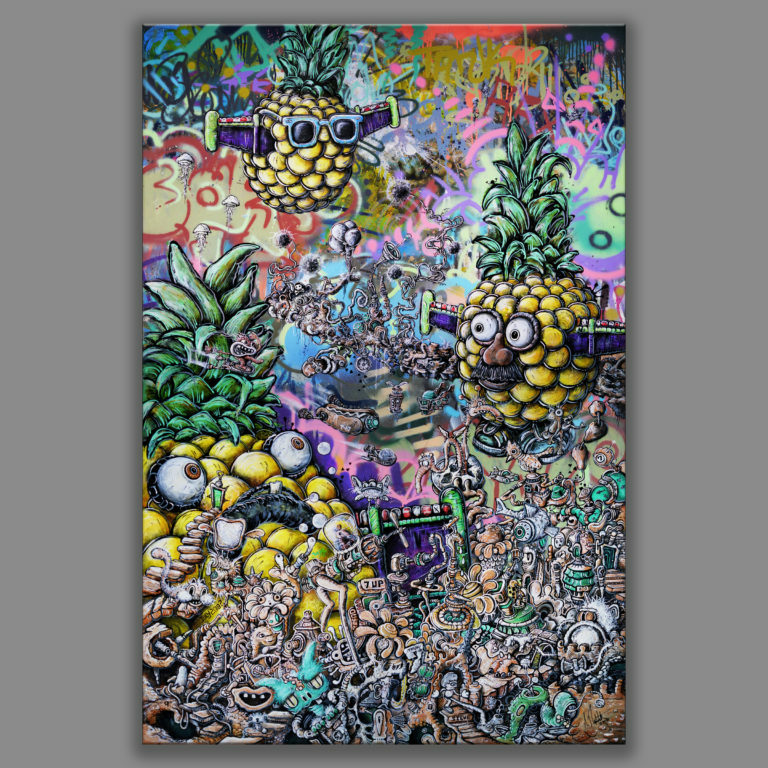 Artist Nick Ringelstetter creates extremely detailed artwork that leans toward science fiction. 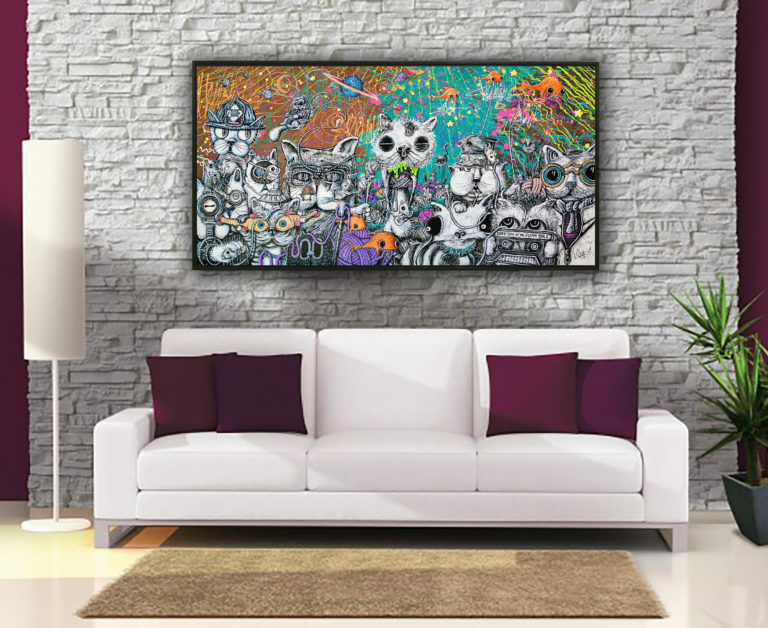 He’s been very successful selling his original artwork and prints all over the U.S. at outdoor art shows. After a chance meeting with another artist, he has come down to Florida and ventured into the world of murals. 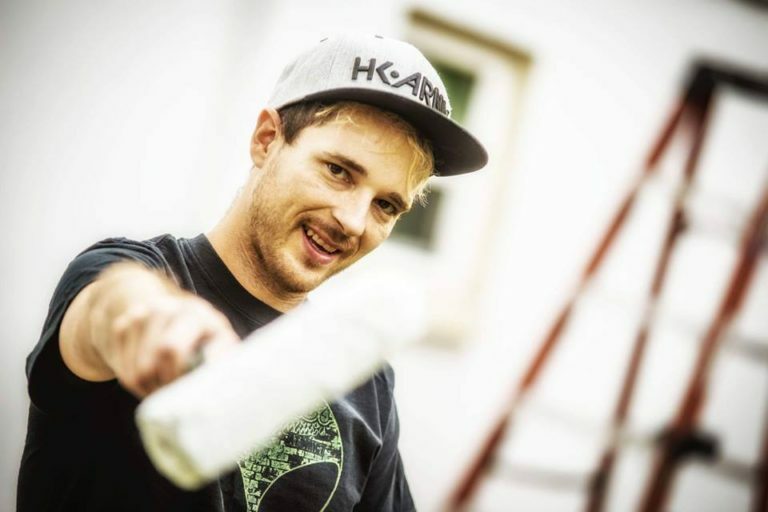 We talk about his art show adventures, how he met Kole Trent and starting doing murals, and what the next phase of his art career may be. I interview Kole Trent in episode #77. 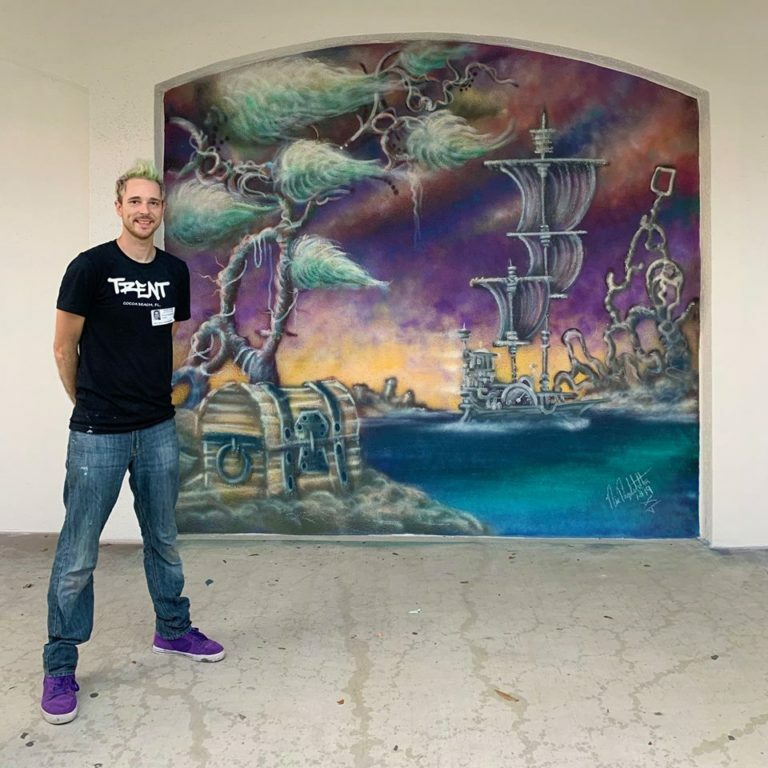 Nick with one of his murals at Wellington Landings Middle School in Wellington, Florida. Another one of his murals at Wellington Landings. 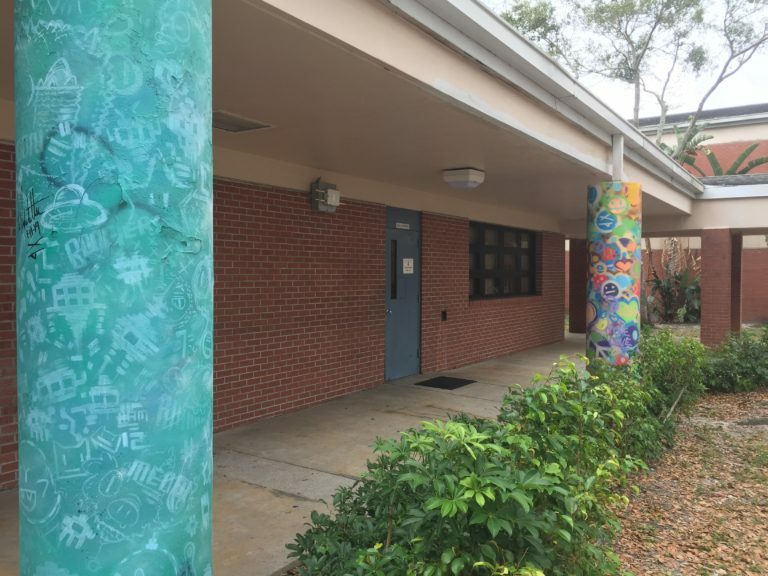 These murals are near the science classes at the school. Part of the painting done at the middle school. 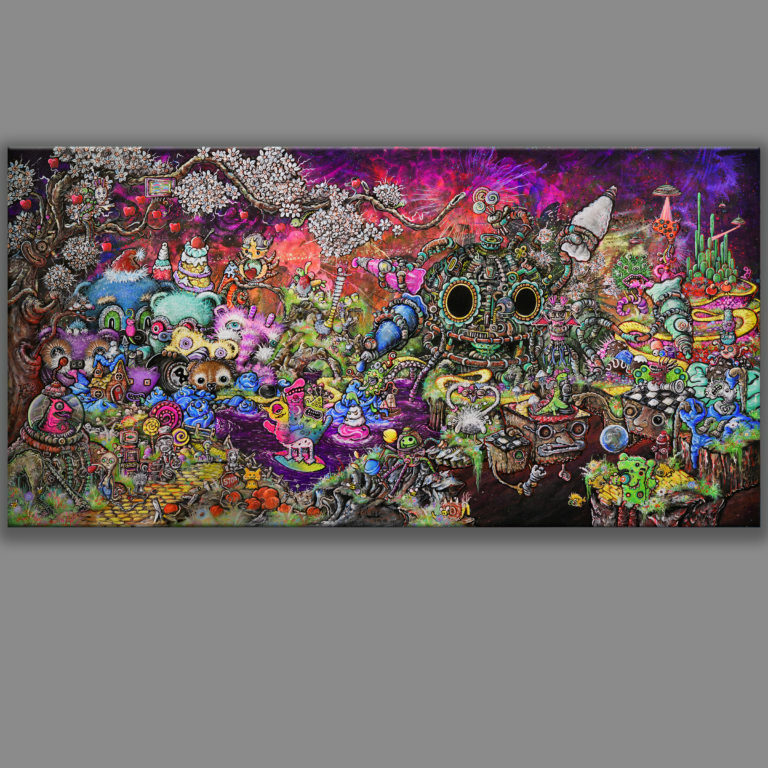 You can find Nick’s artwork and schedule of upcoming art shows and murals on his website atomic7studio.com. 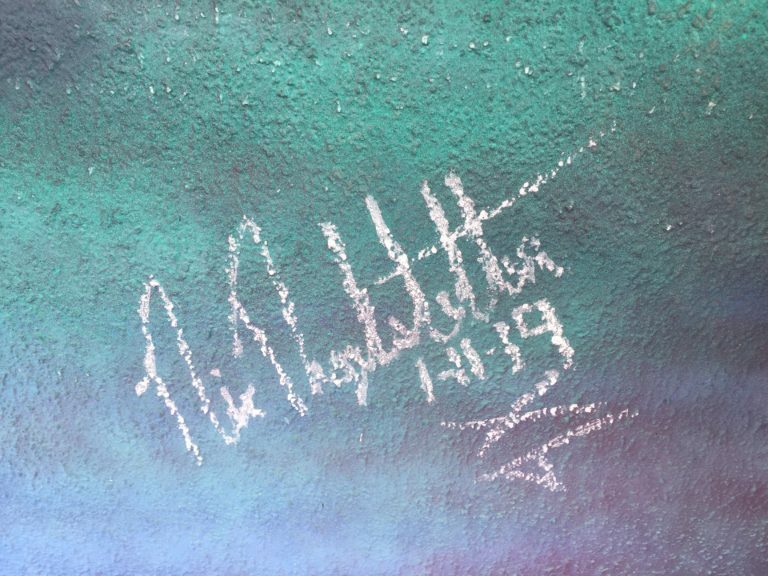 Check back later because his website will be revamped and become nickringelstetter.com. You can also find him on Instagram as nickatomic7 and on Facebook as Nick Ringelstetter. 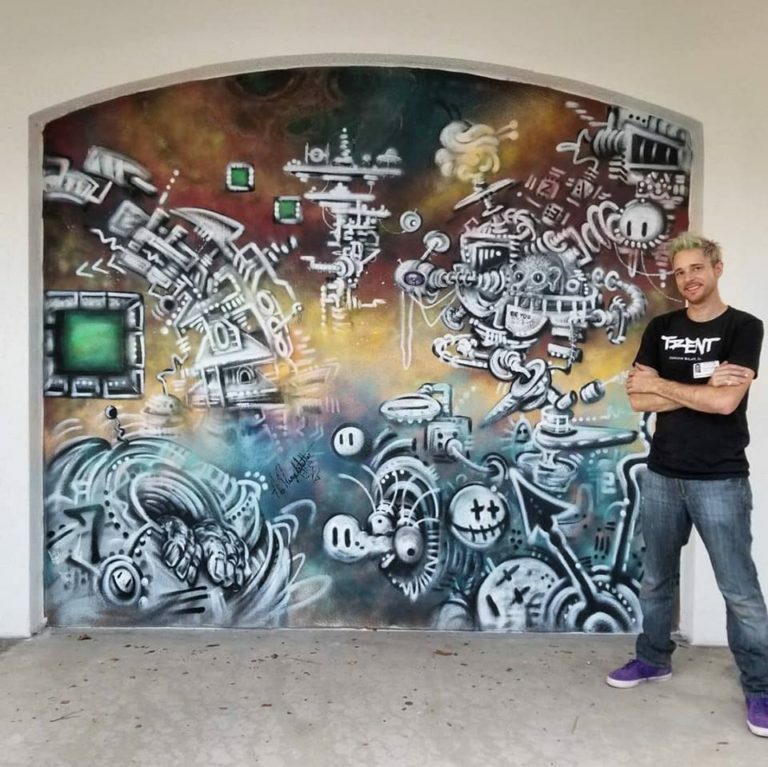 Nick shows his artwork in Cocoa Beach, Florida at the Trent Art Gallery. Nick recommends the site Zapplication.org for finding art shows across the U.S. Speak to other artists at art shows who have similar artwork as yours and ask them questions about the art path they have taken. Artists can be very giving with their information, and they want to help other artists out. To find art shows, he recommends zapplication.org. You can set up your art photos, your bio, and your payment information on the website, then you can easily click on any show that you’d like to apply. When looking for shows online, do a little research to find out the setting for the show and if it will be right for you. If an art show costs more than others, then you know they’re spending more money for promotion and security and other things. Consider offering prints and not just originals so you can offer art at different price points. Making prints of your artwork can be complicated, and there are many ways to do it, so ask other artists how they’ve made prints. Offer a limited number of prints to maintain your art’s value. You should be using social media to do your own promotion and to be your own advocate. Nick puts a sign in his art show booth that says “Please take photos and share,” because he knows that it’s to his advantage if he gets noticed on social media. 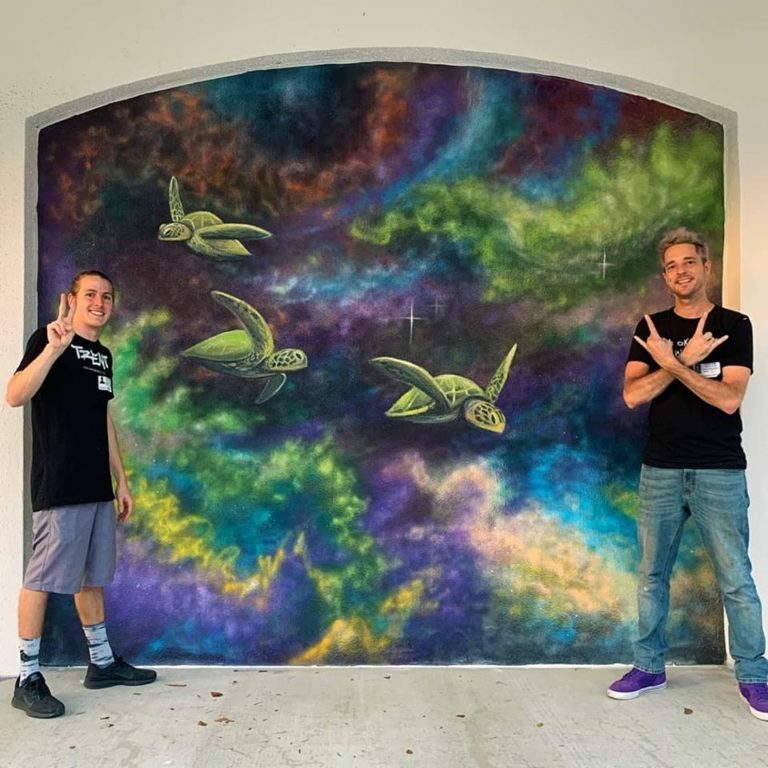 Nick and Kole collaborated on this mural at Wellington Landings Middle School. You can listen to my interview with Kole Trent in Episode #77.